Management games are all about being the one in charge. Whether it’s yelling at the England manager, cursing those clowns in Congress for doing it again (seriously, what a bunch of clowns), or laughing at Bryce Dallas Howard for running away from dinosaurs in high heels, we all think we could do better. This explains why the management game has remained one of the most enduring and popular genres in PC gaming. It helps that managing balance sheets, planning cities, and bossing staff around is so easily translated to the keyboard and mouse. From the early days of city building in SimCity to refining tactics in Championship Manager, through to the more recent classics we’ve got below, the humble management sim accounts for some of the best PC games of all time – not to mention the most addictive. These games will eat your life away like no other, but every hour spent laying electricity cables, tweaking prices, or adding extra toilets is time well spent, so read on for a roundup of the very finest. Just remember to try and get some sleep, yeah? 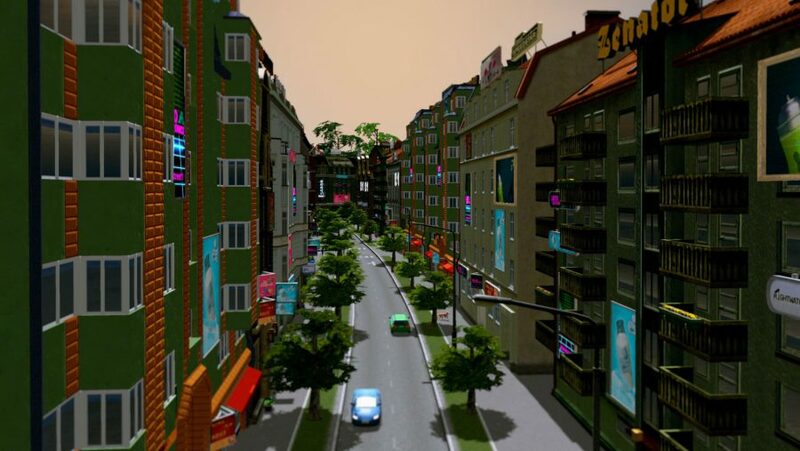 Despite developer Colossal Order comprising only nine people, Cities: Skylines manages to easily outshine most other city creation sims by taking the genre back to its roots – offering freedom, scale, and simple building mechanics. The smartest idea the game has is disposing with individual building placement. Instead, you choose a ‘style’, and then basically spray-paint structures on to the ground. It’s really satisfying to behold your city just pop up in front of you. 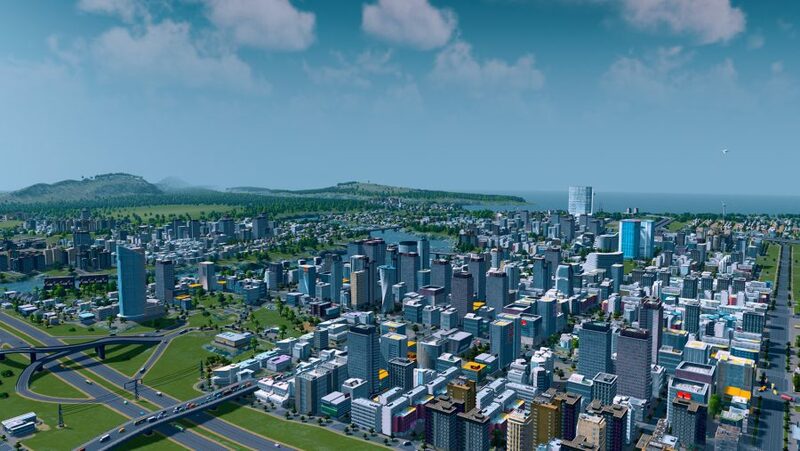 Despite the straightforward attitude to building, don’t mistake Cities: Skylines for being easy, as there are plenty of interconnected components to manage and hundreds of ways for things to go wrong. There’s no Godzilla to go on a rampage – although there are disasters – but Cities: Skylines is the true heir to the SimCity legacy. When Bullfrog created Theme Park in 1994 the studio probably didn’t realise it’d be giving birth to a whole sub-genre of management sims. With Theme Park unlikely to get another game any time soon (see SimCity or Dungeon Keeper instead, or EA’s back catalogue in general), it was up to others to dominate this small sub-genre. And Frontier Developments did – first with Rollercoaster Tycoon, and then with Planet Coaster. 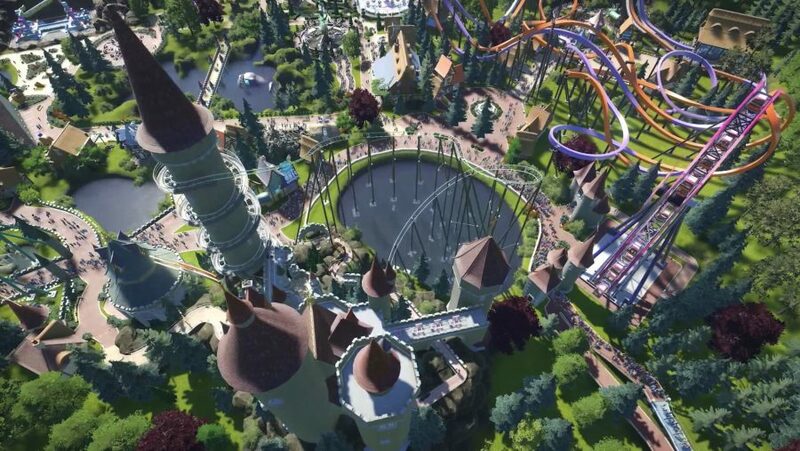 Planet Coaster is the ultimate theme park designer game. The level of freedom is unparalleled. You can do everything from raise the price of crisps by a penny to create entire, elaborate rides. That’s not just pick a ride, shove it down, and alter the height of the tracks – in Planet Coaster, you can design an entire experience from scratch, limited only by your imagination. We’ve seen fantastic, elaborate rides based on Aliens, Moonraker, and even a whole park that looks like Minas Tirith from Lord of the Rings. Planet Coaster lets you micromanage your park at every level, and we do mean every level. It’s had a steady stream of official content and thousands of mods since release, too, so there’s a terrifying mountain of gameplay to be had here – and none of it is boring. A few months ago, Bullfrog’s classic Theme Hospital would’ve been a cinch for this list, but then a young upstart came and knocked it off – although, in this case, it’s a game by several of the original’s developers. 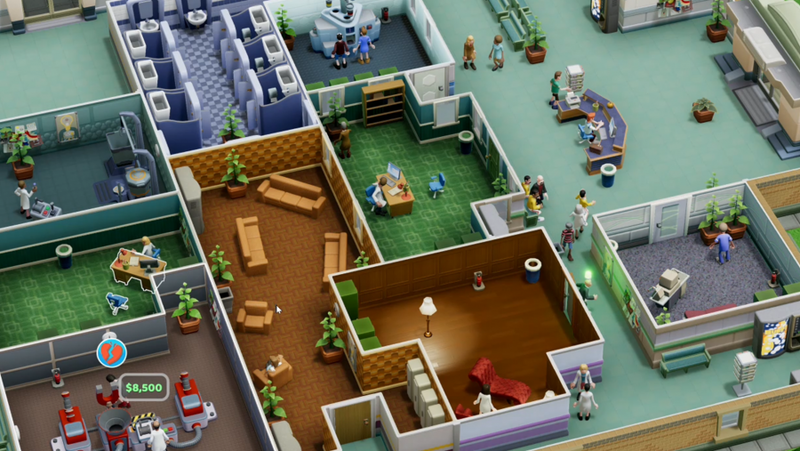 Two Point Hospital takes everything great about Theme Hospital and brings it right up to date. What both games have in common – and what made Theme Hospital so particularly enduring – is gameplay that anyone could get their hands on and enjoy within minutes. Managing a hospital could easily be made too tricky, or too depressing, but Two Point Hospital makes it joyous. One floor, simple drag-and-place controls, uncomplicated items, and the simple goal of curing patients and keeping everyone happy. Then someone’s sick in a bin, the De-Humorifier blows up, or a failed patient comes back from the dead seeking revenge. All in a day’s work at Two Point Hospital so you better know how to deal with it all. After the gentle intro, everything escalates and soon becomes proper challenging – but never losing its humour and the fun that goes along with it. It’s cute in the same way Wallace & Gromit is, with plenty of ridiculous diseases – and cures – and the DJs on the tannoy only add to the entertainment. Just make sure to check under the snack machines as that’s where those pesky Monobrows lurk. 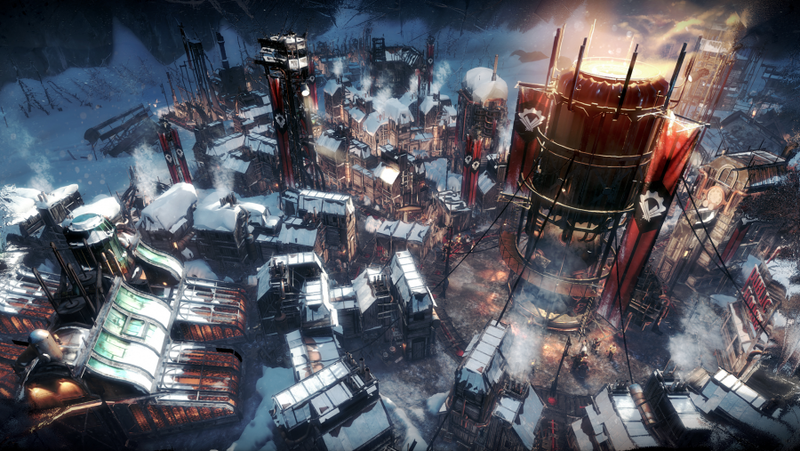 Frostpunk mixes manages with the harsh challenges of survival sims. You have to manage people, yes, but the goal isn’t to make money – it’s to make it through each bitter night without losing everyone to a sudden death. From the creators of This War of Mine, which is similarly about a group of people trying desperately to survive under horrifying circumstances, Frostpunk deals with nothing less than the end of the world. The Earth is freezing, which means the group under your control has to build steam engines and collect resources to stave off the cold. Sound simple? It would be, except half the time you’re not managing a society – you’re managing your own morality. You’ll soon find yourself sending frostbitten workers to their deaths in order to clear or a bit of snow, or executing your own citizens because they dared to disagree with you. Frostpunk is one of the best management games on PC. Not just because it’s different, but also because it holds a mirror to your own actions like no other game – and you might not like what you see. 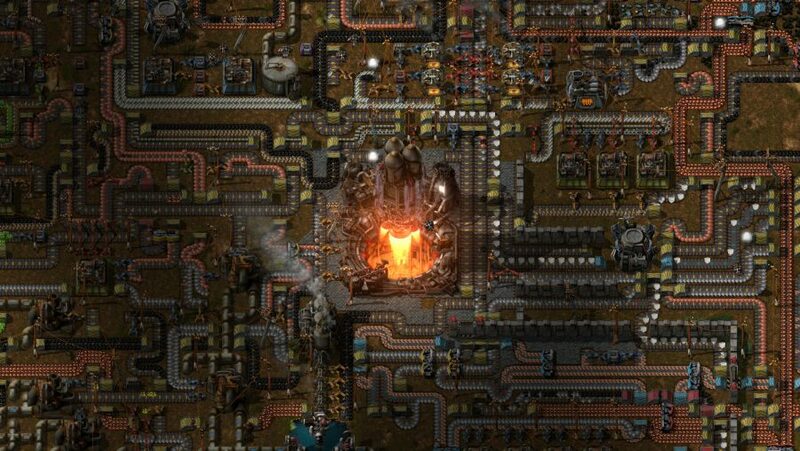 Factorio is all about building and maintaining factories on the alien world you’ve crash landed upon. While initially about survival, harvesting resources by hand as you do in Minecraft, and fending off the dangerous wildlife, Factorio quickly expands beyond that. It allows you to create massive centres of industry, with production lines, automated machines, and solar-powered robots. While Factorio could be too complicated for some, once you get into designing and managing your factory, you’ll soon find the hours slipping away. It’s not the most attractive game on this list but Factorio is probably the most addictive. We live in hope that the developer will actually finish it some day. Stardew Valley lets you mingle with the locals and take a break from the stress of making decisions. But don’t be fooled: while on the surface it looks like an RPG that would be published on the Super Nintendo, this is in actuality a pure and gripping management game – just one that’ll get your hands dirty for once. 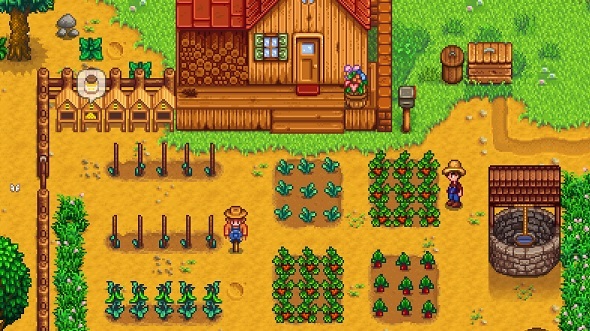 Inspired by the likes of Harvest Moon and Animal Crossing, Stardew Valley has you manage a farm that was left to you by your grandfather, which you can do with whatever you choose. You can grow crops and raise livestock, make a thriving jam business or enter the nearby caves to fight slimes that you can breed. But there’s so much more to do outside of that, too. Head into town and you can make friends with the local villagers, or even start a romantic relationship. There are also quests to earn extra money, a huge map to explore, and you can work on restoring the town hall if you want to be charitable. Stardew Valley is one of the loveliest farming sims available on PC. Just make sure to manage your time most of all as this game will eat it up. Now, when it comes to farming, we know little when it comes to the agricultural variety. We’re much better suited to the farmer’s life when we’re doing it in space, as we would in Destiny 2. Which is precisely why Farming Simulator 19 is one of the best kinds of management games: with a deep tutorial that gets us started in one of the most complete farming games ever, we now everything we need to when it comes to owning a real farm, maybe. 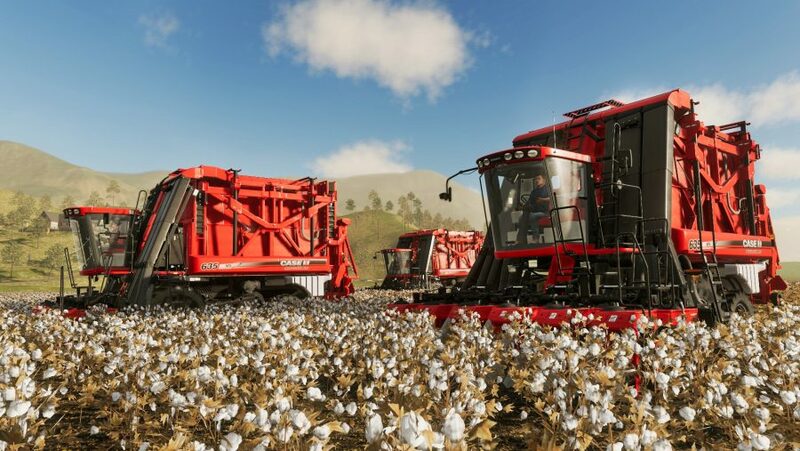 With a welcome graphics upgrade to make living off the land an even prettier – if still smelly – experience, Farming Simulator 19 boasts more vehicles and tools than ever before. And, quite literally hold your horses as John Deere tractors finally make their war to this simulation game. In case you didn’t believe in the sheer detail on show here, check it out in practice with our Farming Simulator 19 diary to see how we fared. Spoilers: it didn’t go well. The Sims was a phenomenon when it first hit our PCs in 2000.. SimCity creator Will Wright’s little people simulator gave us the chance to fully manage the lives of a family. You can build their house, get them jobs, help them fall in love, and remove the ladder from their pool and watch them drown, it’s all part of The Sims experience. While there are four games in the series so far we suggest playing The Sims 3. It features more age ranges (The Sims 4 doesn’t even feature toddlers in the base game), the ability to travel to other neighbourhoods and manage them too, and the level of both developer and mod support was far higher than other games in the series. 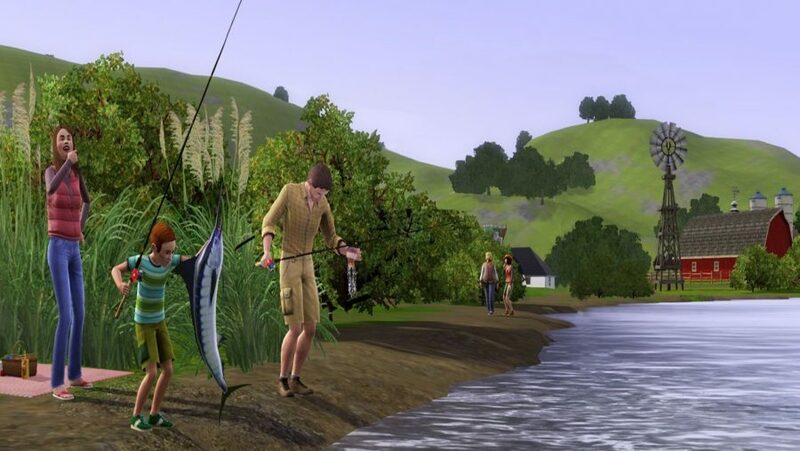 The Sims 3 is a well-rounded package that still looks good today. Just try not to name Sims after your close friends or family as that doesn’t usually go well – ‘what do you mean you locked me in the basement?’ Agh! The Tropico games are essentially city builders like SimCity except they have you managing a tropical island that’s been conquered by a dictator. SimCuba, if you will. But rather than being grim these are some of the funniest management games out there. You look after every aspect of your island, including where you get your money, exports, relations with other countries, and making sure the workers don’t revolt – and if they do, will you placate them or mercilessly stomp out their revolution? What makes the Tropico games distinct in the genre is that you can succeed by keeping your population happy, or subjugated under your brutal regime. The reason to play Tropico 4 over any other game in the series is that it’s the most well-rounded of them. Each entry does a good job of improving the formula but Tropico 5 complicated matters by trying to go in a different direction. 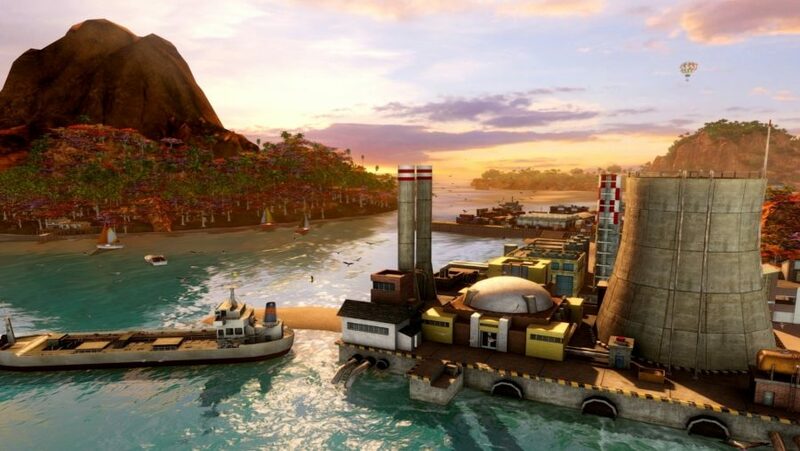 With Tropico 4 you have the freedom to rule your island with an iron fist – or not. The choice is yours, Mr Presidente. When it comes to the best management games, Sports Interactive are a shoe-in for that accolade with each annual entry to their famous football series. Football Manager 2018 was already excellent and the most complete a behind-the-scenes simulation of the beautiful game, so FM 19 is very much an ‘if it ain’t broke, don’t fix it’ approach. Still, for what’s effectively a collection of interactive charts, diagrams, and spreadsheets, this is next best thing to being by the touchline. Shouting at your players from the other side of your screen is optional. Not much has changed under the hood, but the surface is much more appealing and simpler to digest. Experienced gaffers will certainly appreciate the more streamlined – and particularly purple – user interface, but new players can benefit from tutorials for key systems in a way that’s informative without being overwhelming. Optional walkthroughs for training and building tactical philosophies are a handy head start, but control freaks can customise every fitness session and player role down to the tiniest granular detail. If you fancy yourself as the next special one, this is the only PC game you need. Jurassic Park: Operation Genesis was far too long ago. Thank goodness, then, that Planet Coaster developer Frontier turned up to make a modern version of the classic dinosaur park management sim. 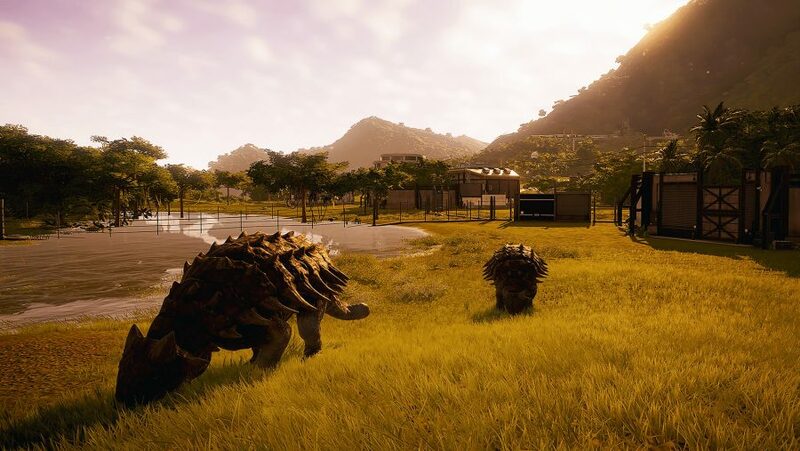 Jurassic World Evolution lets you breed care for, and unleash dinosaurs on unsuspecting visitors – if you’re feeling particularly nasty. Frontier brings the incredible extinct creatures to life with fantastic animation and sounds that are so superb you’ll think your name is John Hammond. Keeping the dinosaurs happy, and meeting the demands of your department heads, is a full-time job.. Especially when the Indominus Rex breaks out and you have to send a team out to capture it eats all the tourists. Jurassic World Evolution is a thrilling game that will please fans of the franchise. Bear in mind that you’ll have to complete challenges before unlocking an island that you can build your own park on. Not that it’s a chore when there are so many dinosaurs to watch. So there you have it, ten of the best management games on PC, a genre particularly suited to our favourite platform. If you’ve played all of these games we’re astonished you have the time to eat, sleep, or even breathe, let alone read a feature like this.